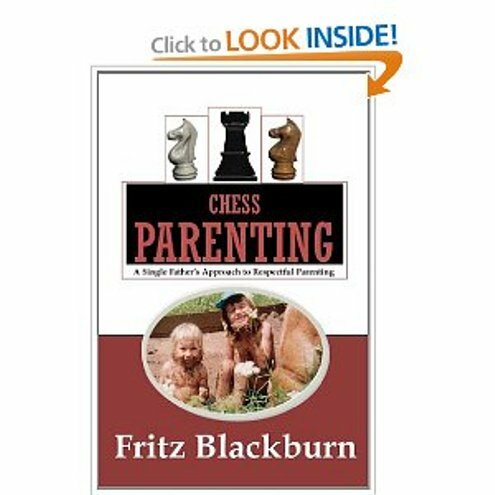 INTRODUCING FRITZ BLACKBURN It gives us great pleasure to present Fritz’s first book entitled “Chess Parenting” in a series of parenting books he is planning. Then……..! But now all grown up into 2 gorgeous delightful young women! “CHESS PARENTING” is a book which was based upon life and written from first hand personal experience. Here is the anti-thesis to ‘Tiger-mom’! ‘Chess-parenting’ proposes a Taoist style of parenting based on real, mutual respect, effective guidance and mutual trust, which includes the development of the parent as much as that of the child. It shows how the ‘generation-gap’ and most other difficulties with teenagers are mostly self-created by the parent and not inventions by the ‘crazy teenager’. Using chess as a medium to foster character-development in its fundamental structure, this book explains virtues such as courage, self-responsibility, commitment and truthfulness as in need of practising rather than preaching. It shows the typical mistakes of parents and gives tactical and strategic advice on how to avoid passing on to children what we haven’t worked out ourselves as yet and on what doesn’t work at all in daily practice. Central to great parenting is to keep your kid on your side, rather than make her/him the receiver of authoritative demand and moral judgement. Instead of ‘Laissez-faire’ and ‘control-all-you-can’ – authoritarianism, the Author suggest a rather new way and approach to parenting, where parents and kids are a team, where all members are needed and fully respected in the family and where kids are empowered to feel in charge of what happens. The Taoist-nature of chess develops also emotional and spiritual insights, along with the intellectual! Without a need to feed children religious dogma, this approach cultivates emotional intelligence and ethical fibre while always being grounded in common sense and self-determination. As a solo-dad, raising two daughters in rural New Zealand as well as traveling, Fritz has never taken the arrogant approach of shovelling his own ‘superior’ knowledge down their tiny throats! Instead the Author and his girls became a team of fellow-travelers and discoverers, based on mutual respect! Unlike most other parents he never expected them to do what he says rather than what he does and uses chess very effectively to allow them to figure out for themselves what is true and what illusion and what is actual choice. Today Fritz is an extremely happy dad with the results he was blessed with, and because of this found parenting a pure joy!! He also draws from his own experience in teaching chess to other people and has gained substantial experience into insights of how to open their minds to inner and outer connected realities. As a parenting tool, chess is shown to be formidable enough to make a real difference to the performance of child and parent and to the integrity of family-life! It promotes non-hierarchical, non-authoritarian, but powerful parenting, where the child has a chance to win and to ‘know best’ and to respect herself 0r himself. Such a style of parenting is unheard-of in modern society, but works well in natural societies, and needs to be recognized as the solution to most of our parenting problems today! Without any force, punishments, imposed limits or yelling Fritz raised his own girls very successfully and easily to be happy, empowered, intellectually acute and spiritually observant young women. The market for this book consists of all parents who want more for their child than being programmed by parent, society and school! Particularly solo-dads of teenage girls will find chess-parenting an extremely helpful and insightful tool to raise the self-reliant and sane teenager. Comparing it with ‘Battle Hymn of theTiger-mother’, ‘Chess-parenting’ gives power not to the mom, but to the kid and emphasizes respectful interaction over parental will and convenience. It has the potential to become quite controversial, as it takes the godlike arrogance out of parenting and suggests that parents too have a lot of growing up to do! The strength of this book is in its uniqueness of philosophical perspective as well as in its connectedness to all walks of life and its practicality. It suits any parent not convinced that good parenting has been honestly explored and it puts a necessary mirror up to all parents who have become walking rule-books and yelling judicators to their children. There is no such book out there! There is not even a theory for respectful parenting in our time! Nothing at all that works… But there sure is a market of parents wanting to look into it. As explained and told to us by Fritz Blackburn, we too are convinced he is on the right path and perhaps his books may open up a whole new school of thought in how to create stronger bonds between parents / solo parents and their brood. Keep an eye out for more books in this amazing series of parenting books by our most insightful author and teacher in new but natural philosophies o child-rearing which we may have lost the way of in our Western society along with its conventional pressures and social conventions. Born January 19th 1955 in Augsburg, Germany, Fritz Studied economics and law during the period from 1976-1984 at Augsburg University. Produced 10 publications of short stories in various hunting and fishing magazines. Engaged in explorative International globetrotting to 65 countries before, during and after his time at university. Discovery of the spiritual path at age 20, was then followed by training with shamans in Mexico and living in tribal communities in various remote places with the natives. He came to love their simple natural and caring ways of sharing with their immediate families and their extended village neighbours. Fritz is multi-lingual and speaks 7 languages, and being insatiably curious and on limited budgets, he acquired an easy understanding of tribal cultures and of those essential human characteristics all cultures share. ‘Who am I?’ and ‘Why’ and ‘Where did I come from?’ which became the fundamental questions to be answered. Tournament chess became the Author’s main excercise for the logical brain, while for spiritual growth he focused on ancient Chinese techniques. 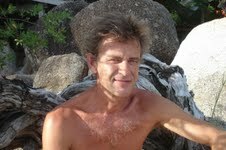 He conducted and ran a Yoga school on Boracay Island/Philippines for 2 years, but soon discovered taoist techniques were the concepts which led to completely new insights. Upon leaving Europe for good in 1985 Fritz intended to live his life in a cave on Cebu/Philippines, determined to fully develop potential psychic abilities which he was already aware of since childhood. His search for enlightenment was thwarted by a girlfriend who had other ideas and reluctantly Fritz ended up in New Zealand in 1986 to settle down to some modicum of domestic bliss. The union produced a a son from whom he was denied contact, but was later blessed with 2 daughters by a different mother who had abandoned her children after a lengthy custody battle. Fritz was left to raise his girls alone, while traveling together as a close-knit family through South East Asia on a shoestring budget, and visited remote places and location which proved to be well off the trodden path. During these extended periods spent in the company of tribal communities Fritz began comparing tribal ways of raising children with Western ideas, and as consequence developed an entirely new approach to parenting, based not on indoctrination, but on respect and self-responsibility, which worked so much better he realized. Parenting was pure joy for Fritz, and his lovely daughters, the girls, were soon more competent than most adults he knew. After years of developing properties in NZ, building houses and planting forests, the Author, had lost all his assets in the drawn out custody war and was left with no material or financial means from which to draw a living. He also worked as a healer in the Bay of Islands, and taught chess to children and began writing New Physics theory based on visionary insight. Increasingly Fritz was drawn to further research the potential of the human mind, actively engaging in cultural comparisons and experiments. He also acquired expertise in taoist techniques to a point where he found he could use various energies for mind development, psychic ability and visionary insight. Raising his children seemed to raise Fritzh to an even higher consciousness, which led to ever new understanding and proving highly successful. The three of them regarded each other as reliable travel partners and respected each others’ personality traits. The girls learned to communicate well in any given culture, acquired many life-skills and became adept at chess, martial arts and the guitar as well as singing. Today they still travel together to remote tribal places in the Philippines, where they study ways of parenting, of social interaction and interaction with nature. Until January 2013 Fritz was resided on Negros Island with his son, now a psychologist, diving into the realities of street children, orphans, prostitutes and tribals whose forest homes are under severe threat from logging. They investigated the damage done by the catholic church, which dominates all education and explore the changes in diet for people who move from the mountains into the city, including the disadvantage to having access to natural medicines and the knowledge thereof, which these people no longer had access to in the modern city environment. Future books the Author intends to write will cover the topics of parenting, mind and soul development and the role of culture within our attempt to reach the human potential. We believe Fritz in actuality may be a dying breed of man, who may possess the strength, resilience and fortitude to revive our sensibilities to the more primeval ways of feeling, thinking and being through his books; as our modern world moves forward and onward into an ever spiralling and more intensely disassociated technologically advanced age. Which seems to have the ability to destroy rather than build up and enhance the way the tribal cultures of the globe’s remotest destinations still live and exist. Where the natural state of ‘being at one with nature and the elements’ is becoming increasingly more inaccessible to many of these cultures. Many communities living remotely, are now gradually being ripped from their natural, simpler and healthier lifestyles which the modern white man has already lost touch with, both spiritually, psychologically, physically and socially. Proving very hard for many of these people whilst attempting to make that transition from living in unison with their natural elements, and what is now referred to as that state of socalled ‘progress’ in the wider world and cities. Many are becoming displaced and are being swept up and swallowed up by the masses and modern way of life to their culture’s detriment; whilst trying to make these adjustments to new and alien white man’s ways. We look eagerly forward to reading many more of Fritz’s works planned for the not too distant future. Currently the Author is working on Book 2 in the Parenting series, the title of which still eludes us for the time being. Keep on the lookout for more news over the ensuing months on this page.